INDIA Indian Kashmir: Christians arrested for "promoting enmity"
Indian Kashmir: Christians arrested for "promoting enmity"
According to police Mafford Maharaj Singh, 62, and his wife Kusum, 60, were distributing Christian pamphlets disturbing the local population. 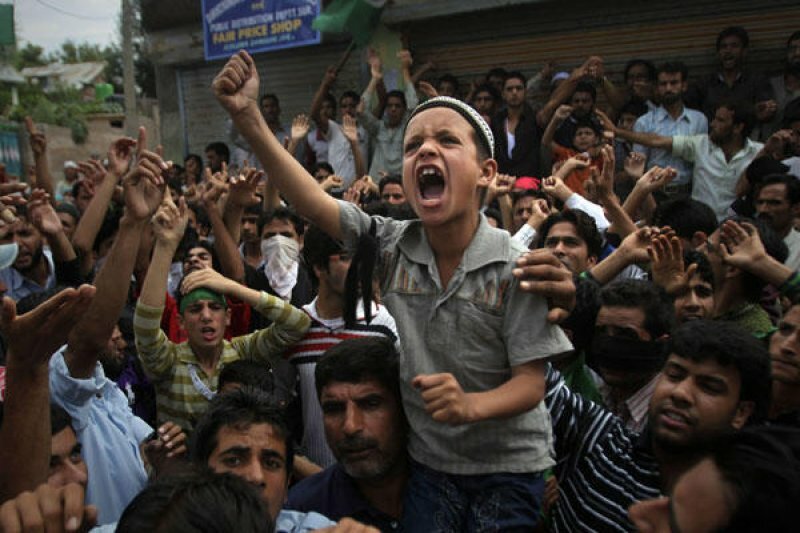 Denial of the children: "They were in Srinagar for a wedding. A vendor found out their faith, insulted them and denounced them. "They risk three to five years in prison. Srinagar (AsiaNews) - Christian couple in the town of Bandipora (Jammu and Kashmir) have been accused of "promoting enmity" and arrested for distributing pamphlets. According to state police, Mafford Maharaj Singh, 62, and his wife Kusum, 60, along with a local girl disturbed the leaflets to people at a city market, who began to shout to attract police attention. Their children, originally from New Delhi, tell a completely different version: "Our parents went to Srinagar on April 16 last year to attend a wedding. The next day, while doing some shopping at the market, talking to a salesman our father said he was Christian and they were insulted, beaten and finally arrested by local police. " The agents said they arrested the two "as a precaution to prevent tensions in the area." Meanwhile, however, the case was registered under the Article 153 A (promoting enmity between groups on the basis of religion, race, place of birth, residence, etc..) under the Ranbir Penal Code this Article provides for up to three years prison, fines or both. In case of offense on religious grounds, the sentence can be extended up to five years in prison. For Sajan George, president of the Global Council of Indian Christians (GCIC), the arrest is evidence the "growing pressure to which they subject Christians by kashmiri Muslim majority. Since local imams decided to stop any kind of fitna [whatever may disturb the faith of a Muslim, ed], life for the Christian minority is increasingly difficult. " Today, Mirwaiz Umar Farooq, chairman of All Parties Hurriyat Conference (moderate coalition fighting for the independence of Kashmir from India), has launched a website that wants to control the alleged conversion to Christianity of young Kashmiris. "This - says Sajan George - is actually an attempt to monitor the activities of missionaries."